We are glad you could stop by! Homer the dulcimer is a mountain dulcimer. Homer lives with his father, mother and sister. 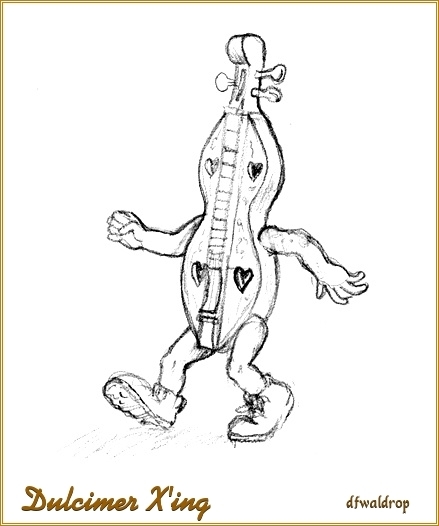 Follow the adventures of Homer as he introduces this instrument to a community that has never heard of the mountain dulcimer. Along with Homer and his family you will meet Bello, the pipe organ, Monica, the guitar, and her friends, Sarah Jane and Mickey, both fellow guitars, There is Veronica, the flute, and Beau, the drum. All of them play a part in helping Homer fulfill his wish to play his dulcimer. All of these characters and more can be found in 'Dulcimer X'ing; a year in the life of Homer the dulcimer. 'Dulcimer X'ing is the first book in the series of children stories about Homer. Check back and find out what other adventures Homer manages to get into on his quest to introduce the instrument he loves. 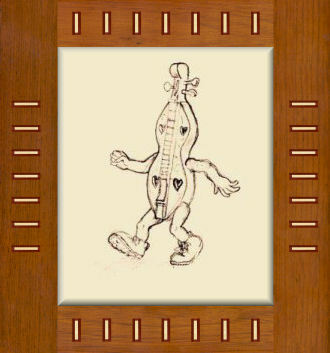 You will find many fun things here at Homer the Dulcimer. You can check out the book Dulcimer X'ing. You can purchase the book from the bookstore. We have other dulcimer related items available in Arts and Crafts. I have a wonderful cookbook; Recipes from an Executive Chef that I wrote available here. You can check out fun items at Homer's Store. You can follow my blog and leave a comment about the book, the website or about dulcimers. Check all of it out and stay awhile. We would love for you to come back often. We love it when friends visit. Homer the Dulcimer continues to grow. The second book in the series - Dulcimer Campfire - is now available. Follow Homer as he goes camping with his family. They are going to Sugar Ruins Plantation State Park. There is an annual folk festival that Homer does not know about. While on the way to the park Homer's dad recalls the story of the old lady who haunts the sugar ruins. Homer's curiosity gets the better of him and he sets out to solve the mystery of the ghost who haunts the plantation. The book is available from the Bookstore page. Check it out today and Good Reading!